Please click on the picture to see a larger view. 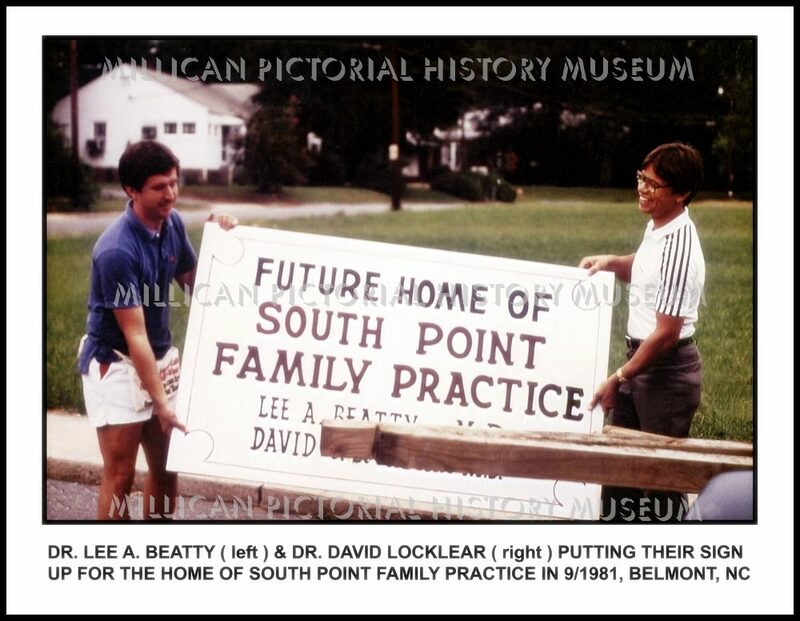 Dr. Lee A. Beatty ( left ) & Dr. David Locklear ( right ) putting their sign up for the home of South Point Family Practice September 1981, Belmont, NC. This is an 8 1/2 x 11 picture that will fit perfectly in a document frame.